Rajiv Goyal Designs is a design sensitive organization which started as a multi-disciplinary design studio and handled creative and curated assignments all over the country and abroad. The role of its principal architect expanded to enlist veritable assignments from Textiles, Interiors, Graphics, Trend Forecast, Trade Fairs development to pure Architecture. The most important aspect of the company over the years has been its keen eye for detailing. From the brilliantly -often before its time ideas-planned to its final finished product, every stage comes with enthusiastic responses to clients needs. Its long list of extremely satisfied clients, personally looked after by the Rajiv Goyal Designs team, almost entirely have remained loyal to the company’s taste and talent till date. 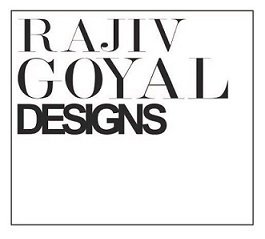 Rajiv Goyal Designs firm was incorporated as a private limited identity branching out into a sister concern of ‘ART LIVINGS Pvt Ltd’ created to provide bespoke luxurious, artistic furniture and related products. The new line houses more than 500 artisans who have the ability to craft lost art forms and techniques inherent to Indian continent. Our manufacturing plants are located in the industrial hub of Indian capital in over 35,000 sq ft area to produce veritable and unique products. The company is now on the stage to leap to the next level of heightened, globally sensitive actual art-forms. He is a Designer’s designer. Refining the visions of India’s most talented for their commercial spaces and private abodes. 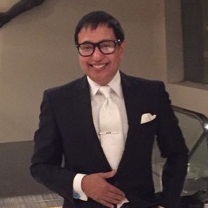 His practice of Interior and Architectural Design was encouraged further when invited to a tenure as Design and Creative Director with India’s foremost trade and mainstream publications[Clothesline, Times of India, Images Group].At a time when design as a profession was still nascent, he helped an uninitiated generation look at design in a new light. A man of multi visions, Rajiv has pioneered the industry of -trend forecasting in the country. He spearheaded the creative forecasting phenomena in the country since 1995, with prestigious trend studies for trade fairs like Tex-styles India [for ministry of Textiles], Fashion Week India [FDCI]; Heimtex [Frankfurt] ,India2000, Hong Kong. His collaborations with stalwarts like Nelly Rodi-the Parisian prima Donna of trend forecasting, resulted in many more creative endeavors. In the past years he has been actively involved with the design industry as a Creative Consultant. Rajiv has often been invited to hold master classes on important platforms in London, Verona, and Moscow in previous years.